More than 500 people will be working in the seven-story Milwaukee building, Foxconn says. Foxconn’s headquarters for North America are going to be in Milwaukee, Wisconsin. According to a Reuters report, Foxconn says more than 500 people will be working in the seven-story downtown Milwaukee building. Almost a year ago, the company announced it would be investing close to $10 billion over a four-year period. It plans on building a 20-million-square-foot LCD panel plant in the state of Wisconsin. In theory, it could employ as many as 13,000 people. Foxconn is based in Taiwan, and is the world’s largest contract electronics manufacturer. It has more than a million people on its payroll. It recently announced to spin off a part of its business to raise funds for its cloud, IoT and 5G projects. It already filed a prospectus with the Chinese securities regulator for a partial IPO of Foxconn Industrial Internet and its iPhone or mobile chip business could soon be a separate company. The spinoff was first proposed in December of 2017 by the company Hon Hai which owns Foxconn. 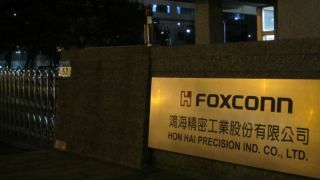 Although the terms of the offering have not yet been finalised, the Chinese media group Yicai Global reported that the IPO will be for 15 per cent of the shares in Foxconn Industrial Internet and hinted at the possibility that the manufacturer's iPhone manufacturer business could be included in the offering.